What to do with left over, 2 or 3 day old bread. 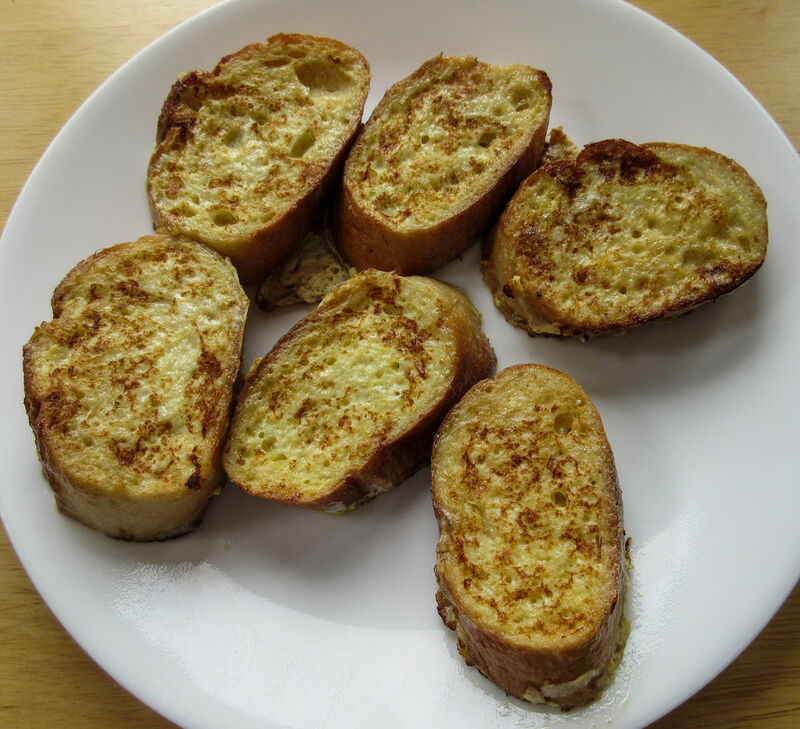 Turn it in to yummy French toast! For each serving, cut a baguette into 6 slices approximately 1 inch thick. Put egg and milk into a flatish bowl and whisk with a fork. Use a non-stick frying pan, and melt butter on medium heat. Dip each slice of bread into the egg/milk mixture and let the liquid soak into it. Fry the bread slices in butter for a few minutes, turning once. Serve with maple syrup or your choice of other topppings.